3). 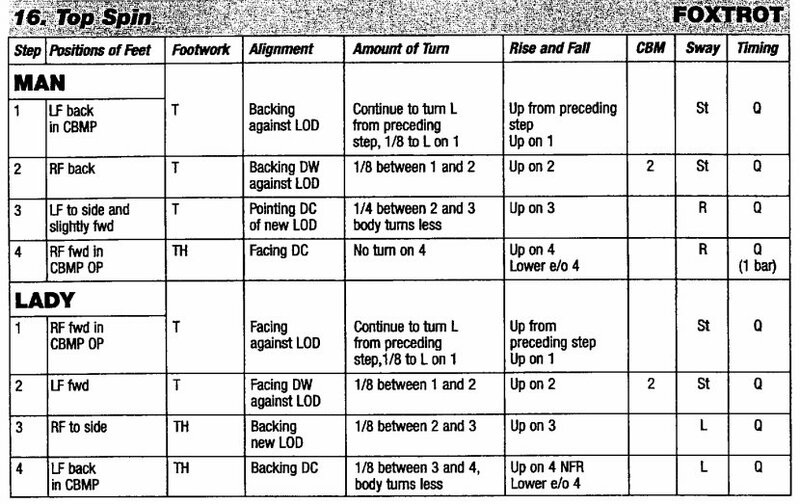 附註：On the preceding step, the body will continue to turn left as man and lady, footwork will be Toe on step 3 of Feather Finish as man, and Toe on step 2 and 3 as lady. 2). 然後男士必需要決定是要跳正常的Feather Finish，還是後面要接Top Spin 的Feather Finish。如果是正常的Feather Finish，那右腳經過左腳後就前進在CBMP 與OP的位置上，然後下降；如果後面想要接Top Spin，那就要：準備"煞車"並"繼續左轉"